CONDUCT a vox pox anywhere in the world asking speedway fans to vote for their favourite ‘racer' of all time, and it's a sure bet one name will keep cropping up. Put the same poser to the great and good of the sport - the legend that is Ivan Mauger for instance - and you're likely to get the exact same response. When it came to putting on a show, Mark Loram had few equals. Britain's last World Champion was a swashbuckling, never-say-die 110 per center who always rode hard, but always rode fair. Difficult to catch when at the front, he was nigh on impossible to keep behind when he was at the back. Loram was, in a nutshell, a performer who put bums on seats with that rare gift to make speedway look the greatest of sporting spectacles. Even in the most mundane of meetings, he could get the hairs on the back of your neck standing on end. And as well as being a 24-carat entertainer, he was (and is) a true diamond geezer. Speedway riders can't compete with footballers when it comes to self-importance, though some do try. One Grand Prix star once refused me a one-line comment for a fellow GP rider's testimonial programme because he hadn't been asked to ride in the meeting. Another kept myself and colleague loitering for 40 minutes post-Cardiff one year (we stood a few yards from him in the pits courteously waiting for him to finish a conversation, and he was aware of our presence) before issuing a curt "nothing to say" and walking off. Thankfully most riders have their feet on the ground, and few were planted more squarely on terra firma than Loram's. He would always do interviews, always sign autographs. 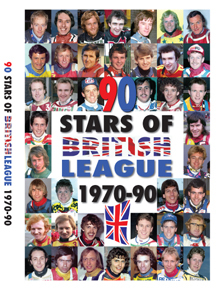 He did his best to make time for everyone and his affinity towards those who came through the turnstiles to pay his wages is a recurring theme in Retro Speedway's Mark Loram, The People's Champion, a bumper four-hour double DVD than pays due tribute to both the rider, and the man. The Mark Loram who was crowned 2000 World Champion was exactly the same Mark Loram who made his debut as a 16-year-old with Hackney in 1987. The decade or so in between hadn't changed him one iota. He was still the same self-effacing and modest individual, his extrovert racing skills at odds with that of someone who lacked confidence in his own ability, and at times appeared embarrassed to be hailed as a sporting hero. You would be hard-pressed to find anyone - team-mates, opponents, referees, club officials, media, sponsors, supporters, even those muppets who are always finding fault on the internet forums - who has a bad word to say about Mark Royston Gregory Loram. The same probably can't be said of Norrie Allan, Loram's manager, mechanic, driver and sounding board during his rise to the sport's summit. Though at his irresistible best when smarting for a racing scrap, Loram says that off the track "confrontation wasn't my thing." He left the hard bargaining and deal making to Allan, a former cohort of six-time World Champion Mauger, and admits he owes a huge debt to his trusted right-hand man. Their special friendship gets a full and frank airing. Loram talks candidly and pragmatically about his career, beginning with the early schoolboy days of grasstracking camping weekends, where he displayed that embryonic crowd-pleasing style. 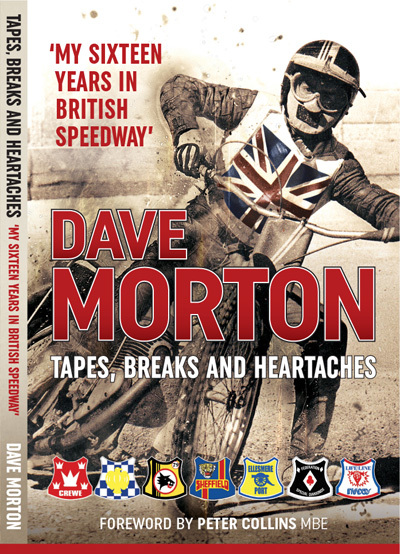 His recollections of the World title year, especially the nerve-jangling build up to the final GP in Bydgoszcz, and the horror crash at Ipswich in 2007 that brought it all to an abrupt end, are especially enthralling. For all the excitement he served up, Loram himself was never prone to get over-excited, and he has a laid-back sense of humour. When interviewer Tony McDonald asks him to reveal something we don't know about him in a quickfire question and answer session, he jokes that he "crossdresses at the weekend." And a look at his bulging trophy cabinet sees him highlight wife Flo's tiny cup for what is "the biggest marrow competition or something." But the clips to savour are the many action sequences of Loramski. That unforgettable double-pass on Jimmy Nilsen to win the Grand Prix at Linkoping in 1999 - his own personal favourite race - tops the bill amid a succession of spectacular overtakes, from Bradford to Exeter and all points in between, and including that sublime rubber-sharing 1997 British Final race-off at Coventry with Chris Louis, whose sister Joanne was Loram's former partner and the mother of his son Rhys. 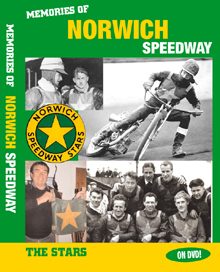 McDonald's revealing interview with Loram, now also the father of Toby and Sophia, is woven with the thoughts of his proud mum and dad, Paul and Violet, Speedway Star editor Richard Clark, Norrie Allan, Matt Ford, Terry Russell (who first remembers him as "that annoying little lad in the pits at Hackney") Neil Middleditch, wife Flo, son Rhys and Ivan Mauger. 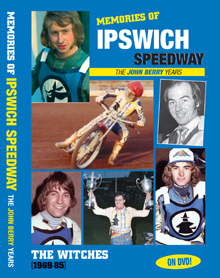 Mauger states towards the end of the DVD: "I don't think there's been any rider in the history of speedway that has the overtaking ability of Mark Loram." If speedway's Man of the Millennium says that, it can be taken as read.